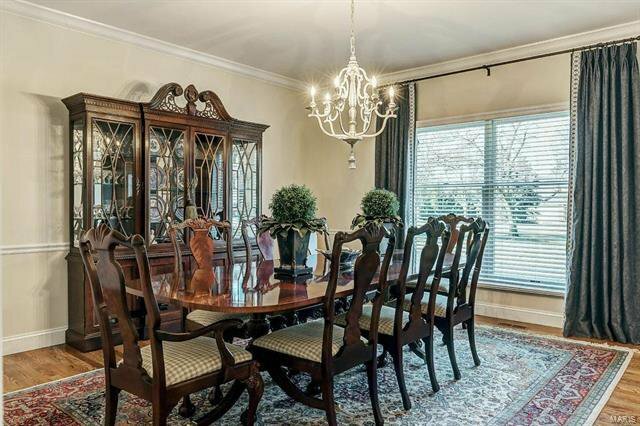 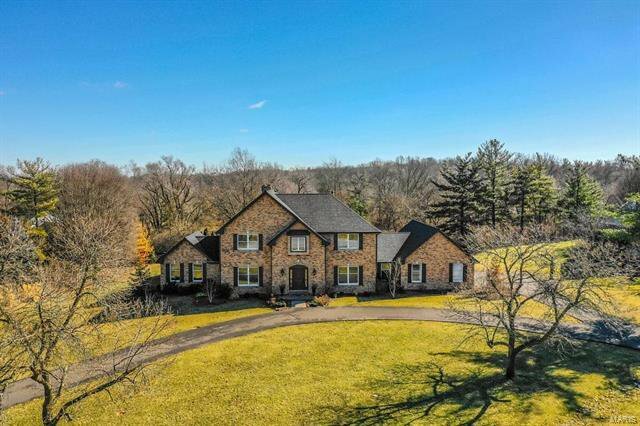 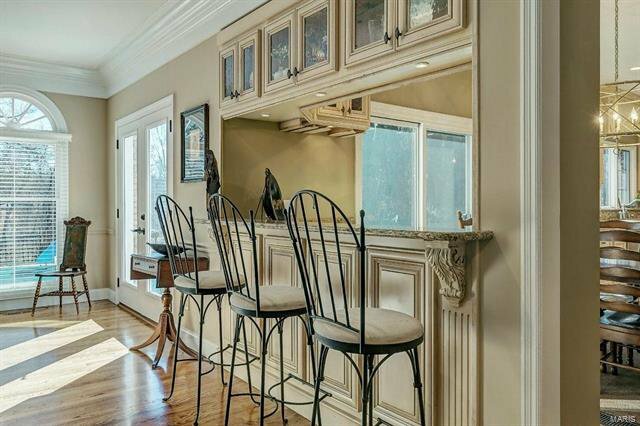 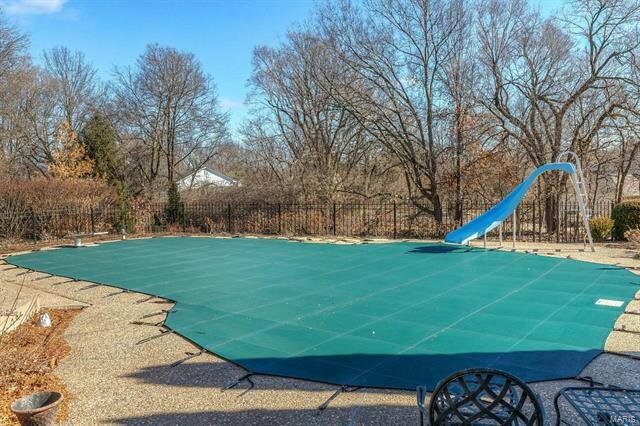 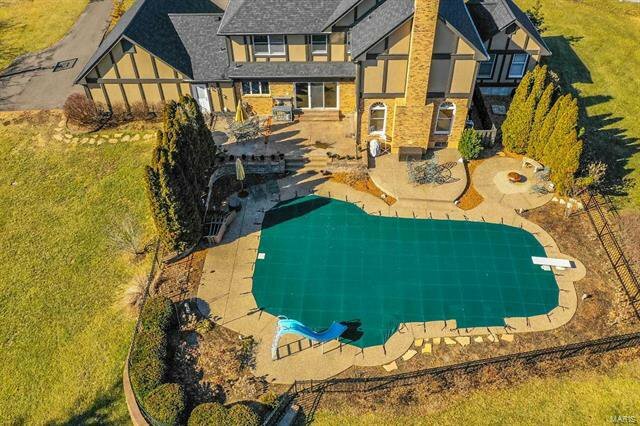 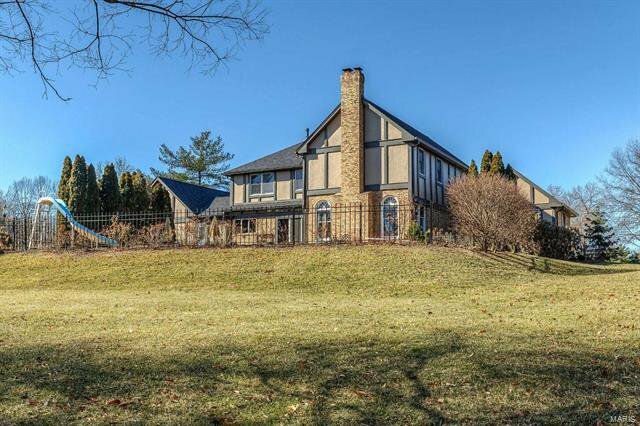 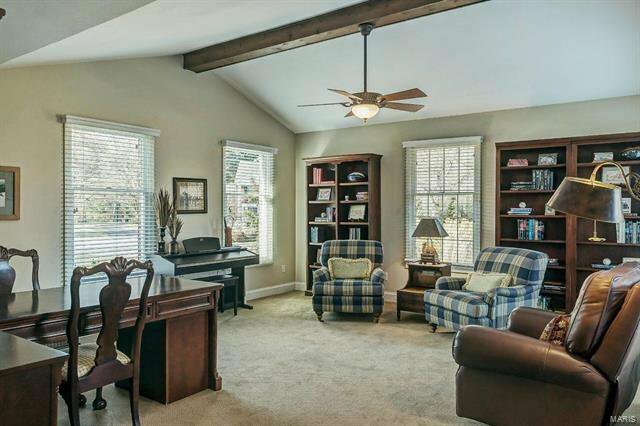 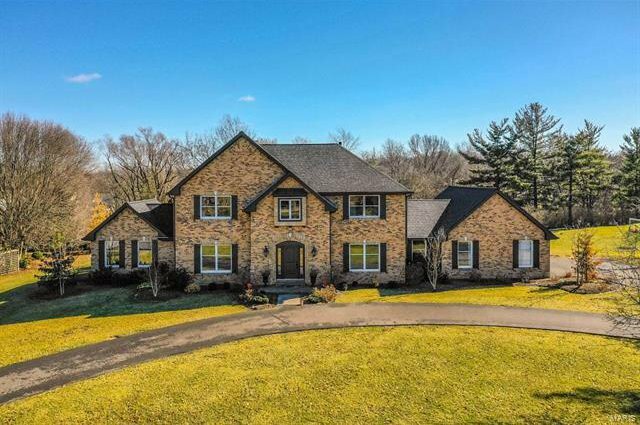 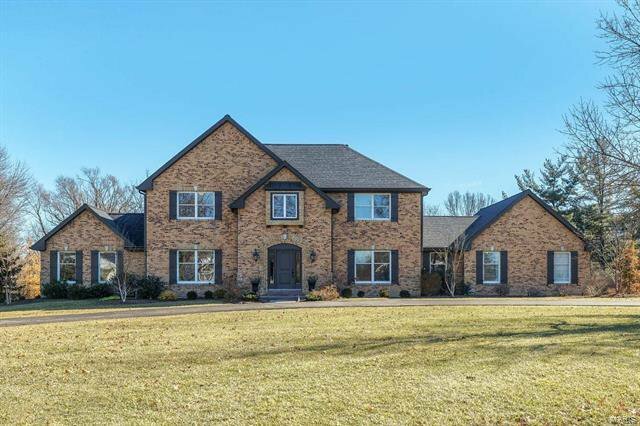 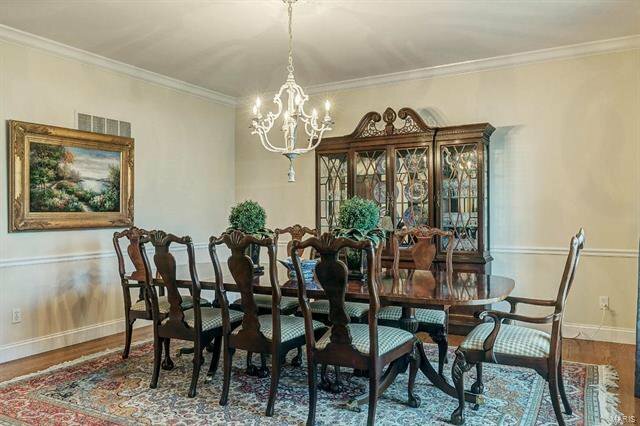 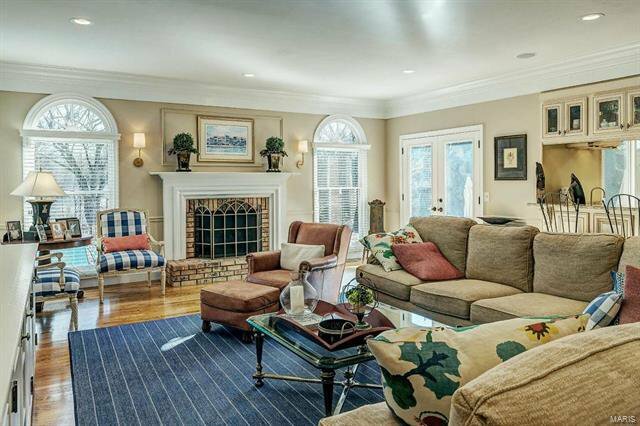 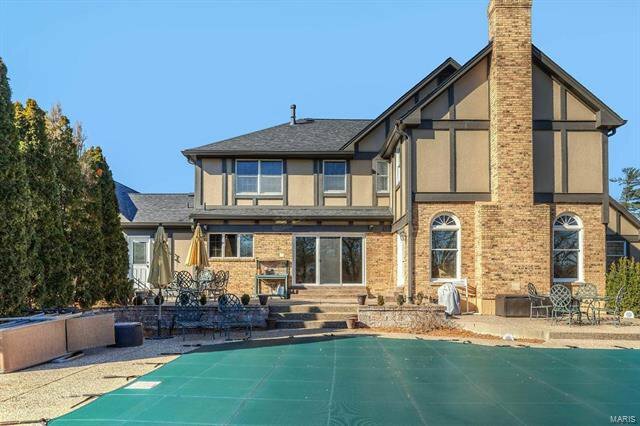 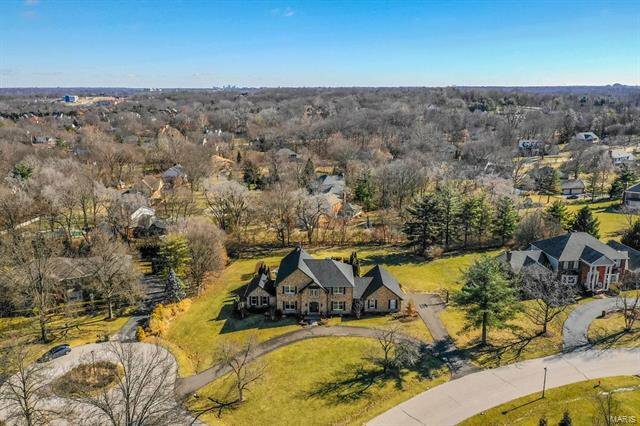 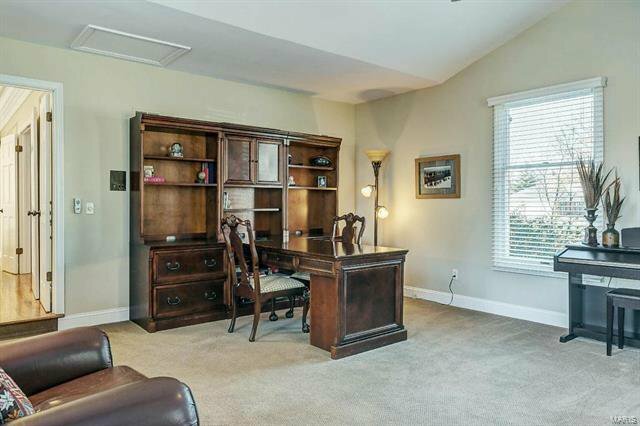 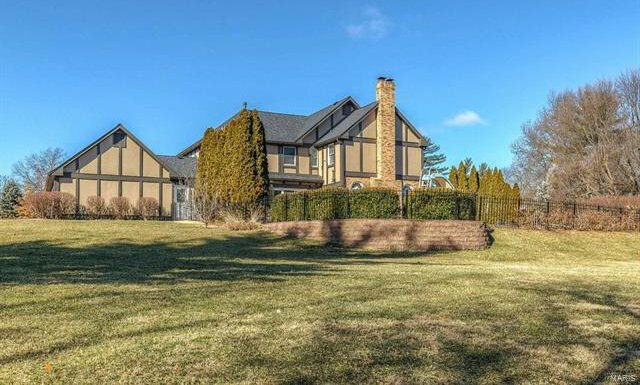 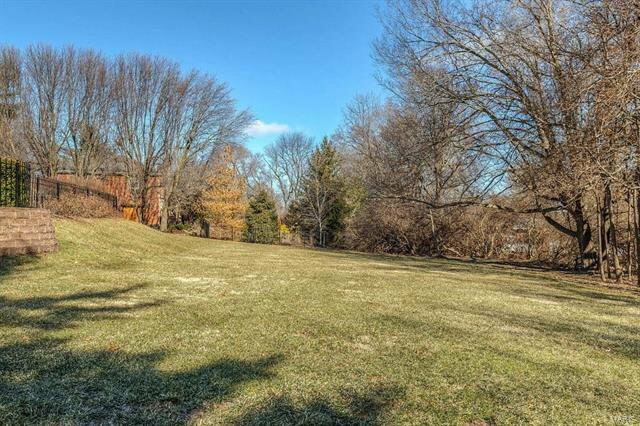 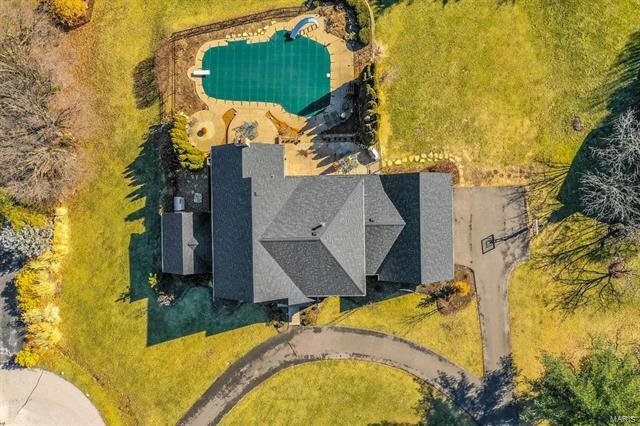 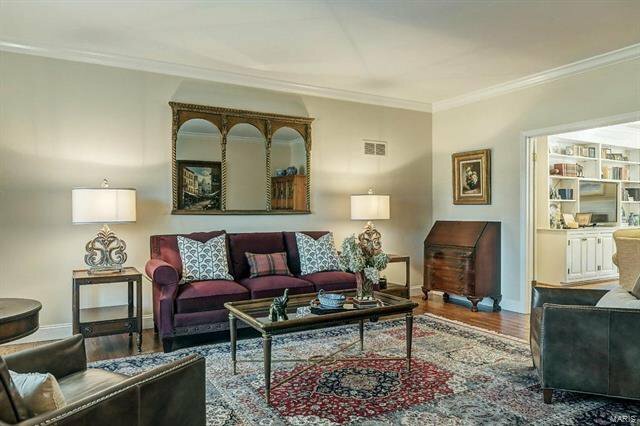 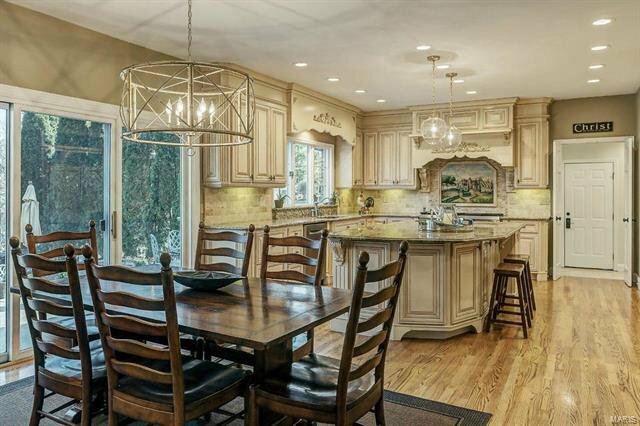 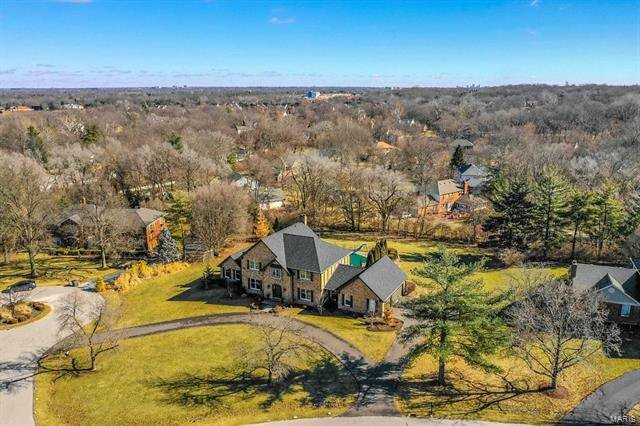 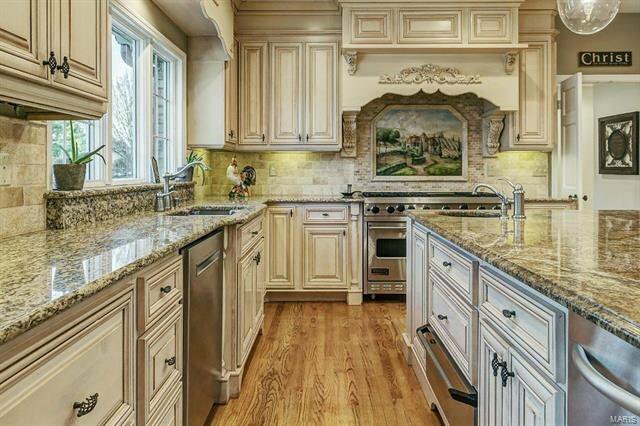 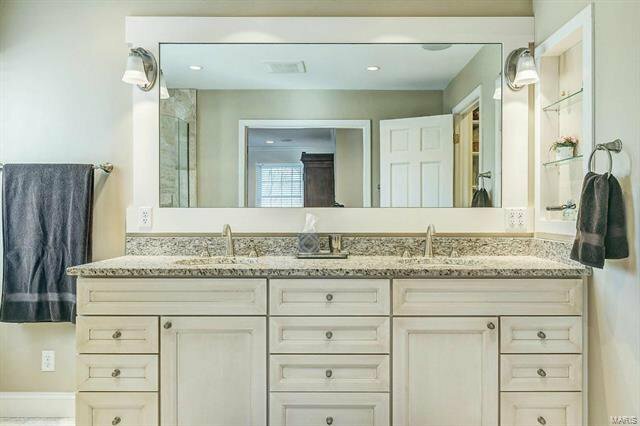 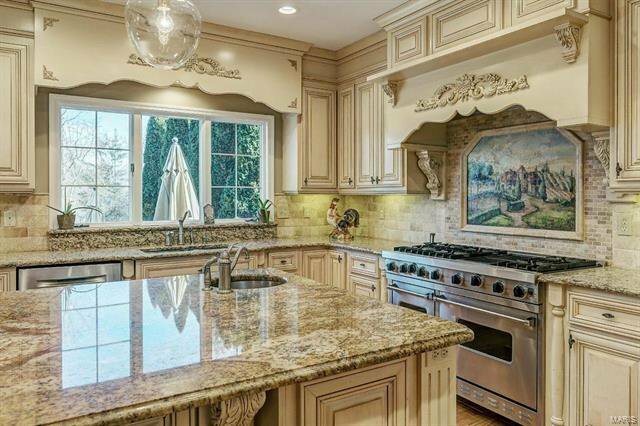 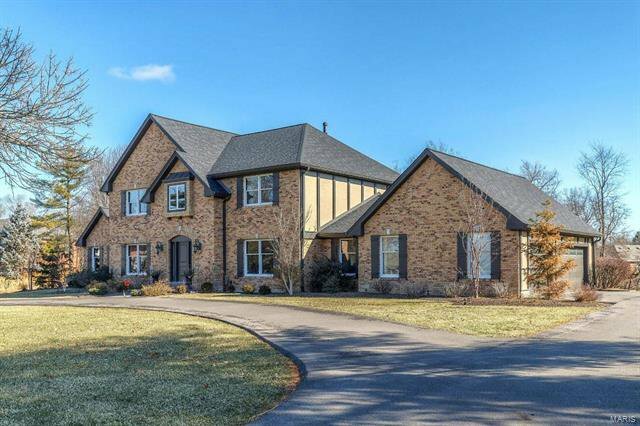 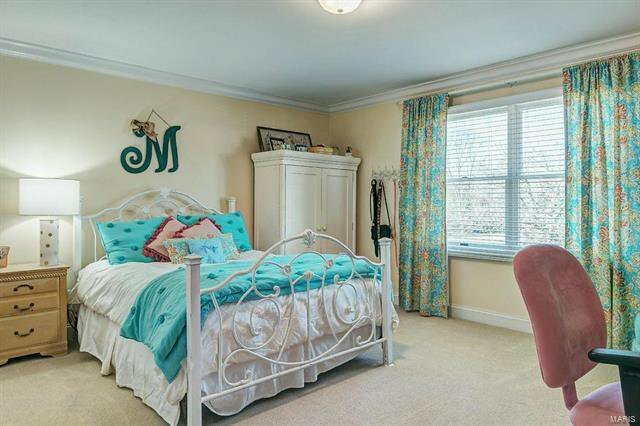 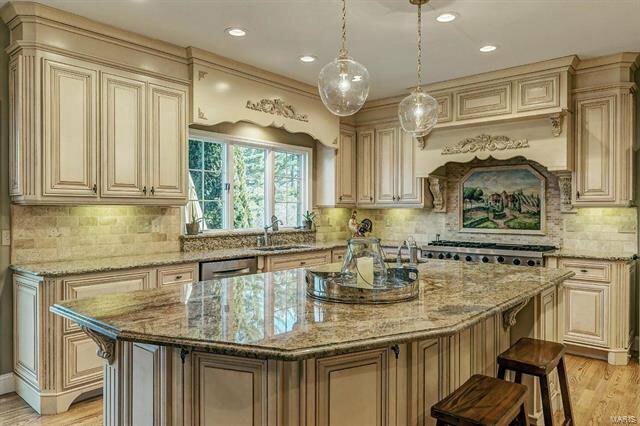 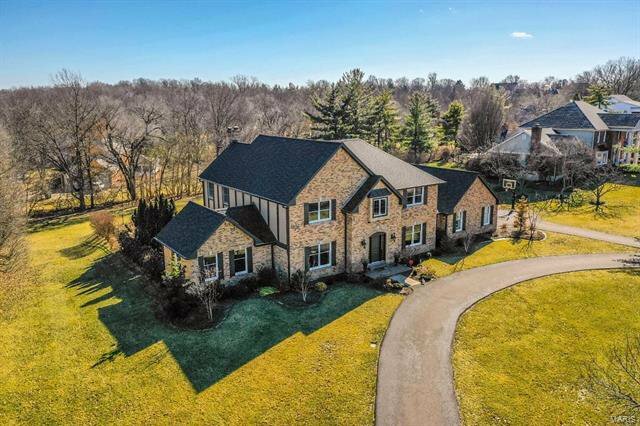 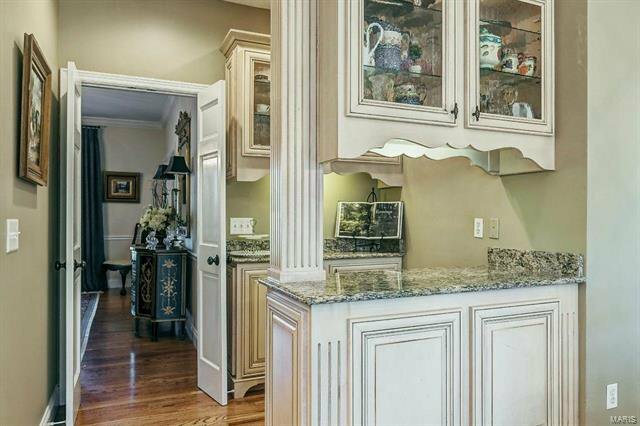 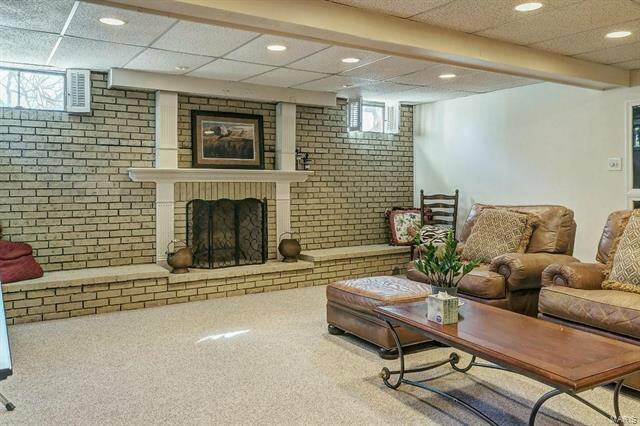 Classic-styled brick 2 Sty on 1-acre cul-de-sac lot! 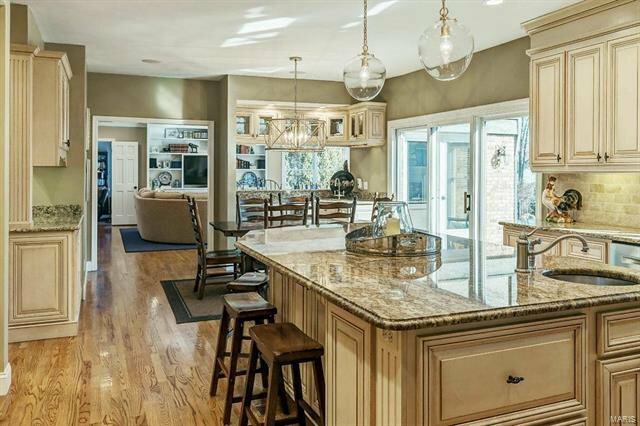 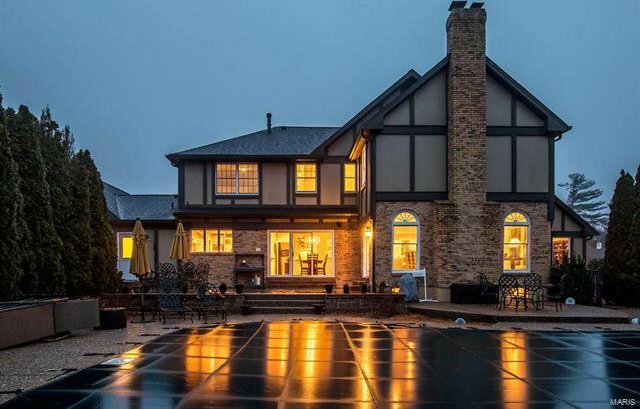 This Kelly-built home features gleaming wood floors, extensive millwork, custom built-ins & an integrated sound system. 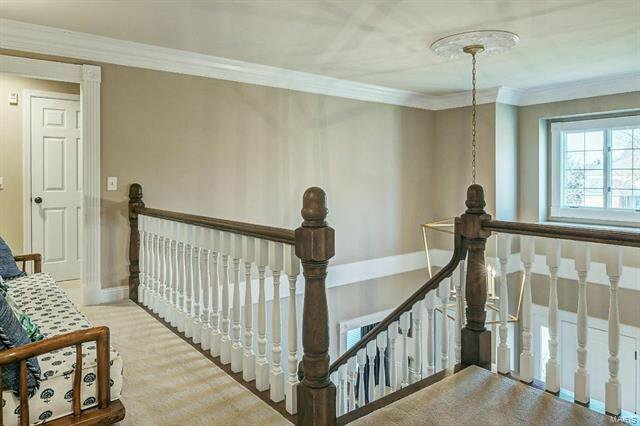 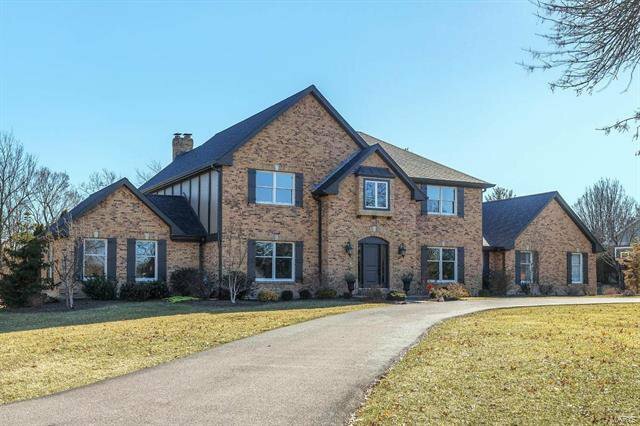 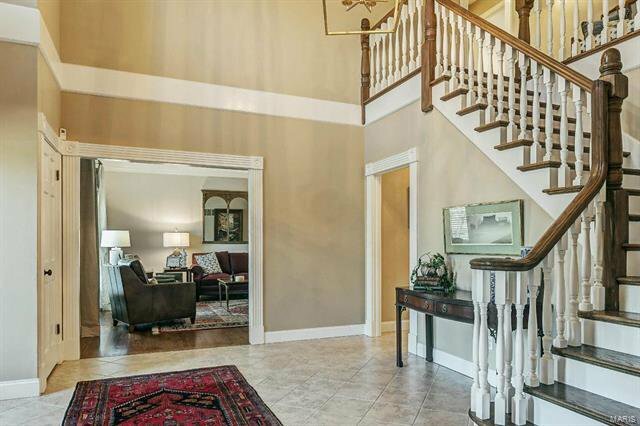 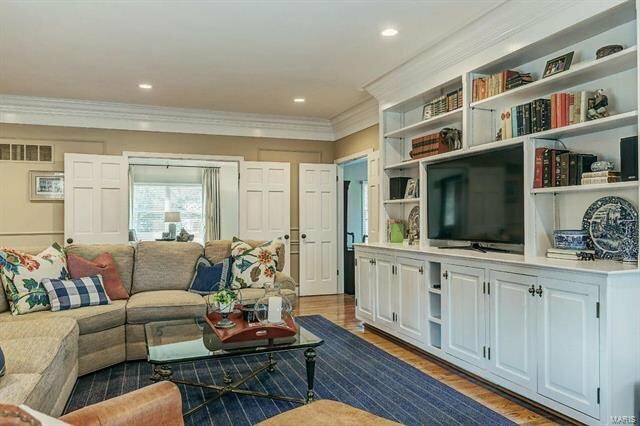 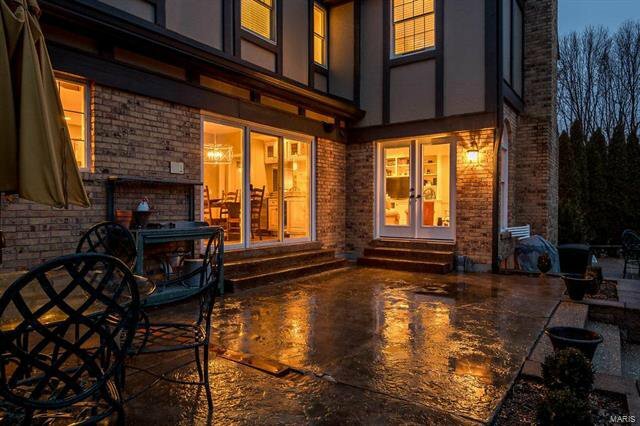 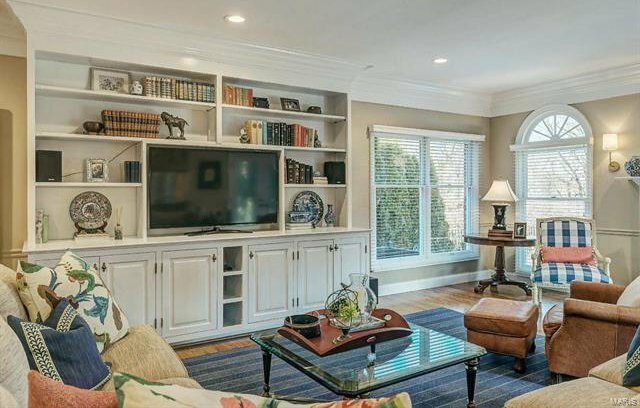 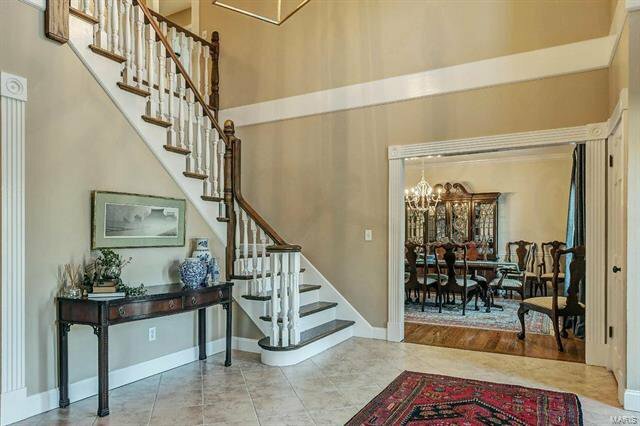 Impressive 2-sty entry foyer opens to formal living & dining rooms, vaulted study, spacious family room with bookcase & brick fireplace flanked by palladian windows & guest suite. 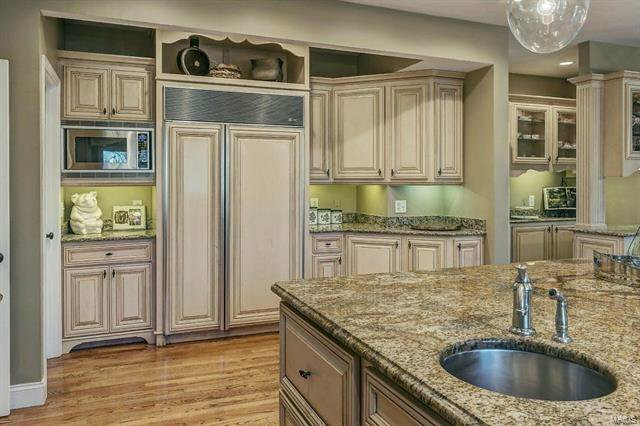 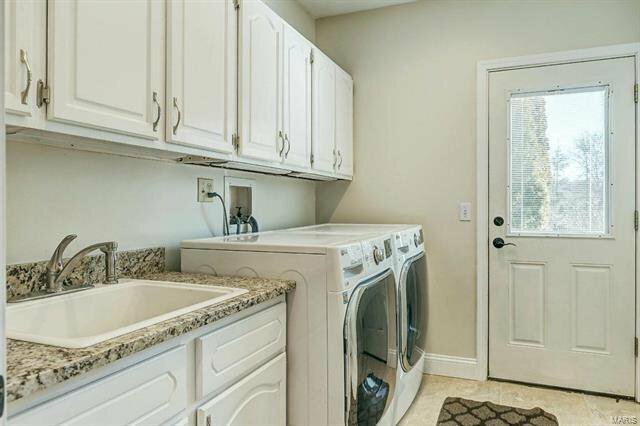 Designer kitchen with 42” glazed cabinetry, granite countertops, commercial grade appliances, 9’ center island & butler’s pantry adjoins light-filled breakfast room with pass-through wet bar & sliding glass door to patio. 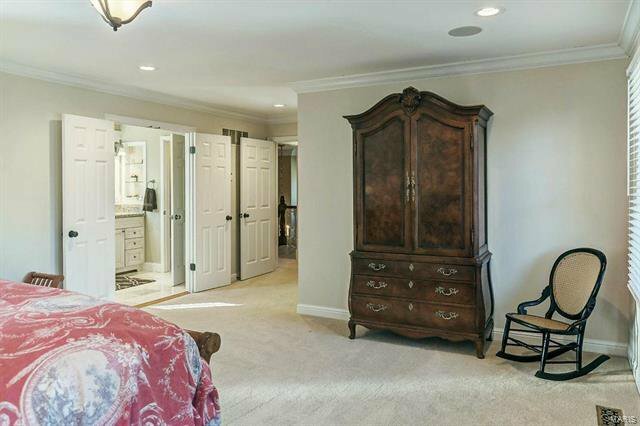 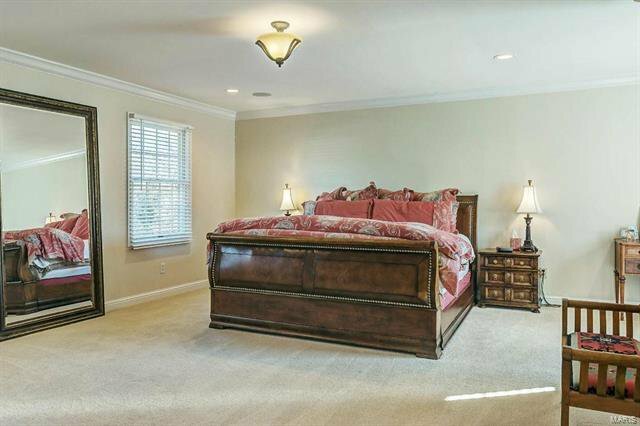 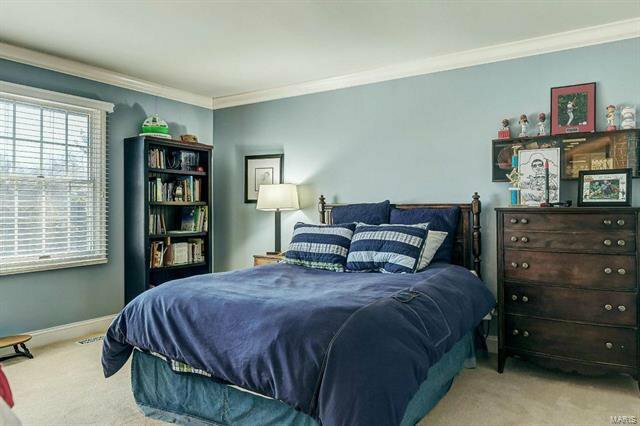 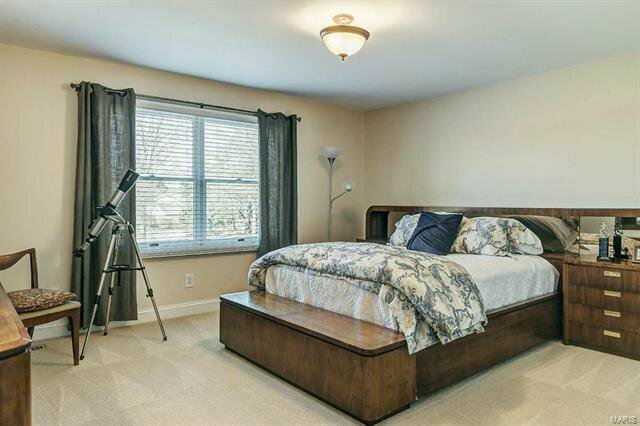 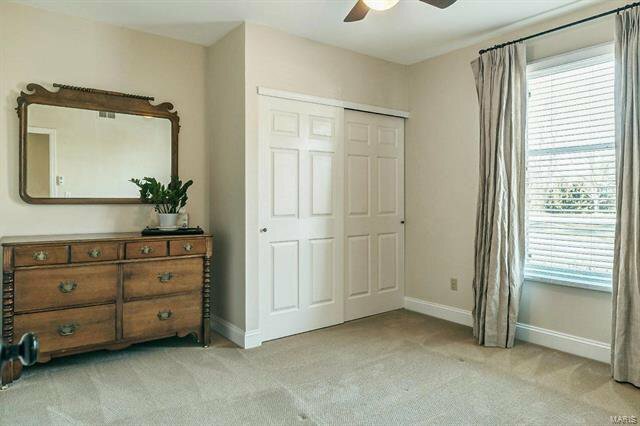 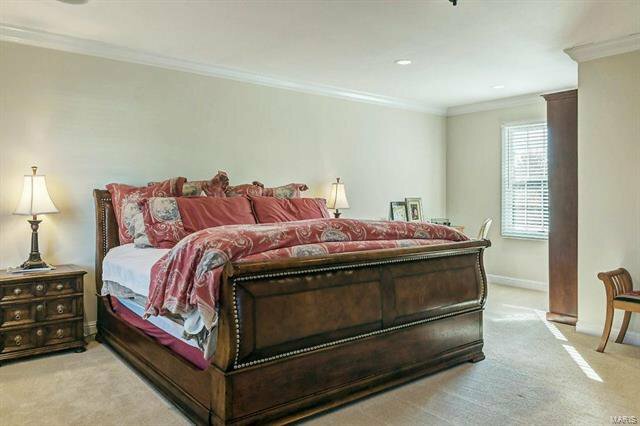 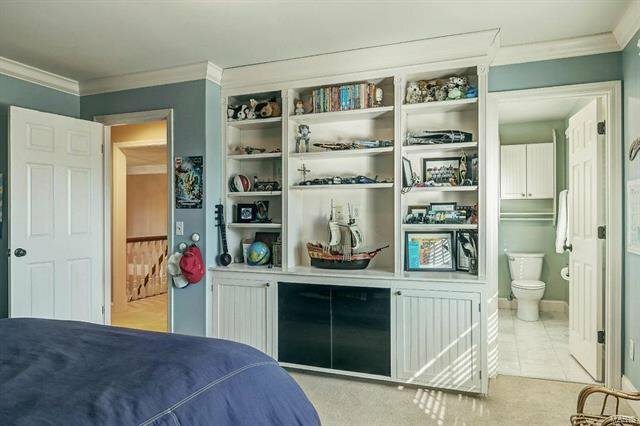 Master bedroom suite with customized walk-in closet & marble bath with shower spa plus 3 generous-sized additional bedrooms, 1 with ensuite bath, & hall full bath complete the 2nd floor living quarters. 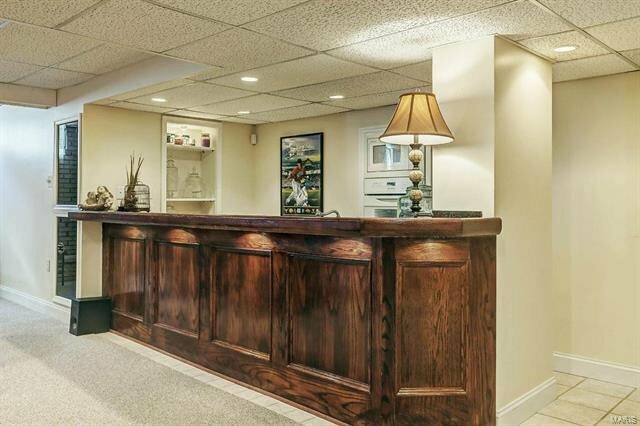 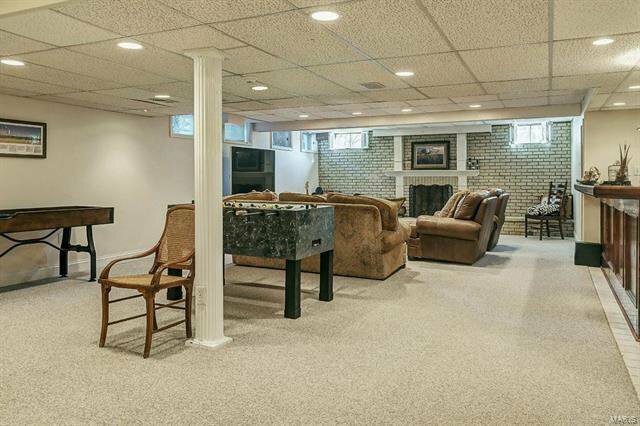 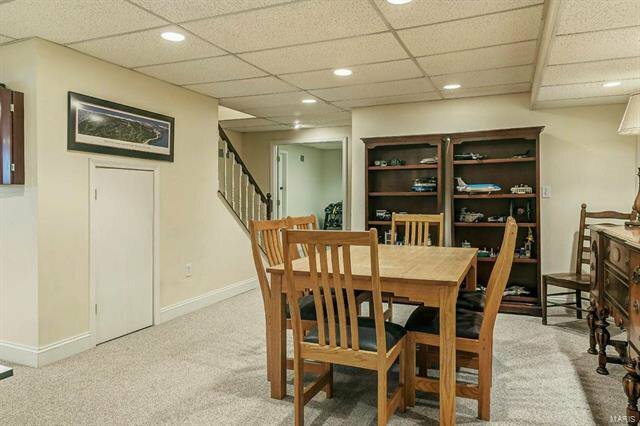 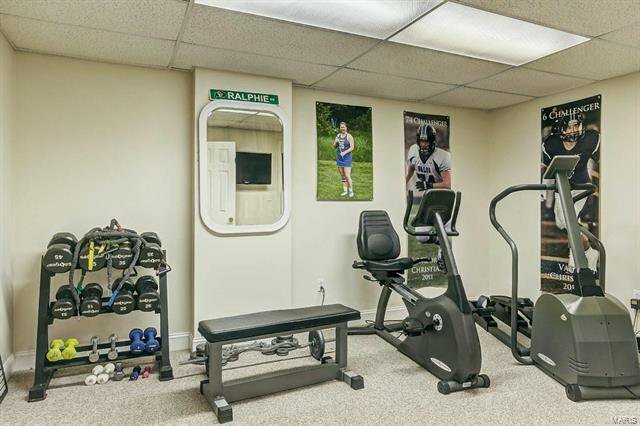 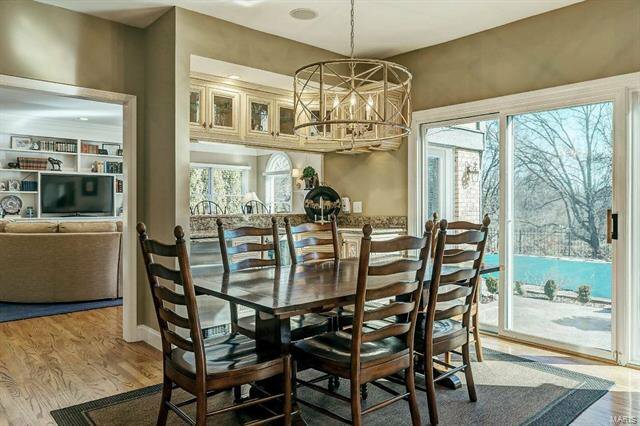 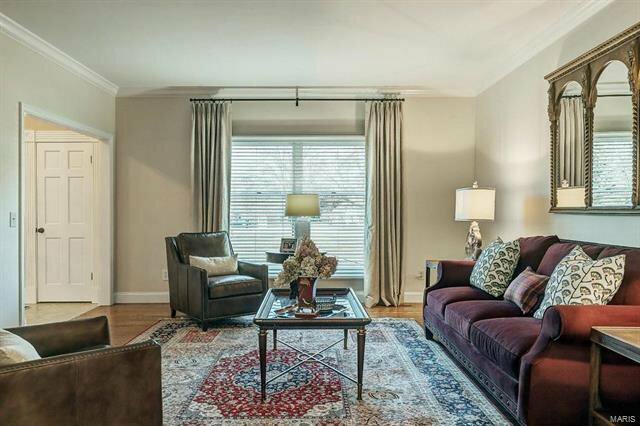 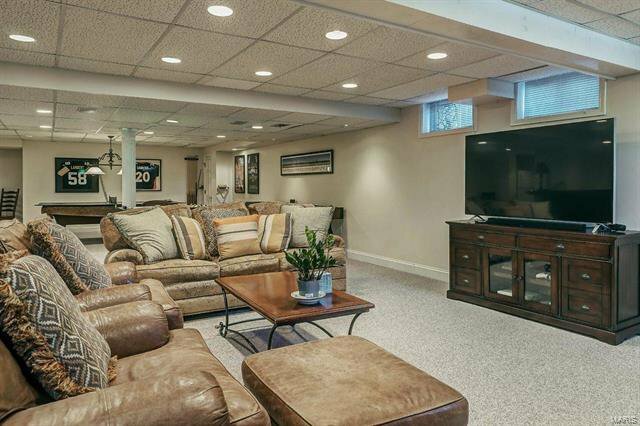 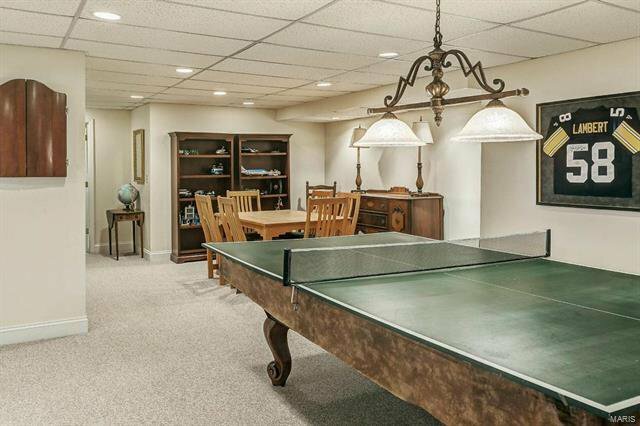 Lower Level includes recreation room with floor-to-ceiling brick fireplace & wet bar, game room & workout room. 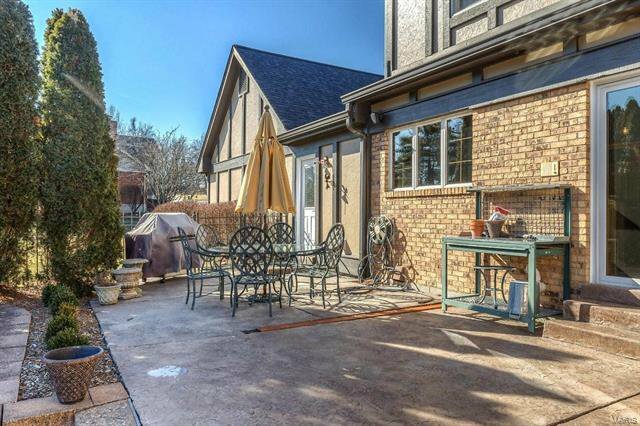 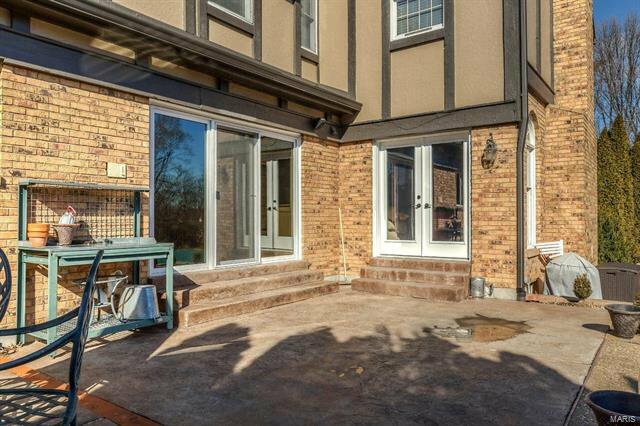 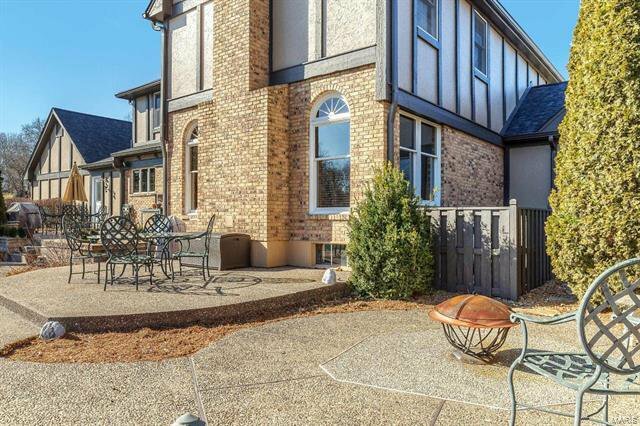 Atrium doors open to outdoor living area with stamped concrete patio & pool surrounded by landscaped gardens.